I played Rayman Origins years ago, and marveled at both the music and art direction in the title, so it was only a matter of time until I was able to pick up its predecessor, Rayman Legends. 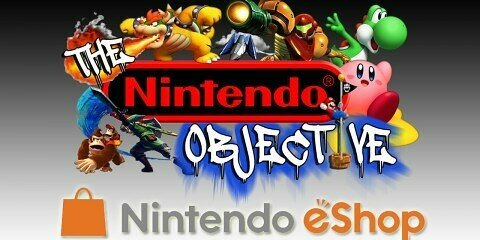 I expected a great platformer with creative ways to play and excellent animations fueled by superb artwork. What I didn’t expect were the amazing musical levels found at the end of each world. Rayman Legends looks fantastic, but the musical cues are second to none. These musical levels are what I’m going to focus on, as they left an indelible impression on me long after I turned the game off. I want to warn now that there may be some SPOILERS coming up, in case you wanted the levels to be a surprise. That being said, before jumping into why these levels are some of the best I’ve played in recent memory, watch the video compilation below featuring every music level in Rayman Legends. Watched it? Amazing, right? Well, let me explain why I believe this is a shining example of why music and gameplay have become so intertwined, as these levels take the basic foundation between the two and enhance them tenfold. Firstly, there is the obvious visual effect that is displayed when watching these speed runs and listening to the music playing with them. Seeing the character jump when there is a break in the music, hitting enemies to crashes of cymbals, collecting specifically-placed Lums that correlate to a long guitar run or solo; all of these things are a visual feast enhanced by the music. To capture what I mean, watch the first level, “Castle Rock”, with the sound turned off. Seems like a standard speed run with some nice art direction, but not much else, right? Now listen with the sound on and notice the difference in your attention. The music draws you into the gameplay and the story the level is telling (you’re running through a castle that is burning down, all due to a pesky dragon wreaking havoc). Without the music, this level loses a lot of its impact and affect on the gamer. Or, perhaps you noticed a more familiar song on the third level, “Mariachi Madness.” When you watch that level play out, whether you realize it or not, your mind and inner rhythm are already working along with the audio/visual marriage, even though you aren’t playing it. When you play the game (I highly recommend it, by the way), the speed run becomes much easier due to the music. If you know the song “Eye of the Tiger”, all you have to do is watch for what action you will be called to accomplish. Each musical “hit” during the intro of the song implies hitting enemies while you jump. The hilarious kazoo solo in the middle of the song has you bouncing and jumping around, much like the solo you’re mimicking. The powerful usage of visual dependence on audio in these levels is astounding, and blow me away every single time I play them. Music highly influences the gameplay, not just the visuals. Which leads me to my second point for these levels: they enhance your skill in gameplay. How do they do this? I previously mentioned that you can simply listen to the music in order to time your jumps and hits correctly. The music almost acts as a guide through each speed run, and there are a few moments that really emphasize how heavily the player relies on the audio cues. An example is on the fourth level, “Gloo Gloo.” There are moments when the player has to jump out of the water and run on small pieces of land. On this land are spiny enemies which can end your speed run very quickly. So, how do you know which ones will hop out of your way, and which ones you need to jump over? Listen to the music! Notice the vocals pick up the visual cues in these moments, and without them, you would have to play off of sheer memory – which enemies jump out of the way, which you have to navigate past, and which obstacles you need to hit in order to progress. The player relies very heavily on what the audio is telling him or her, and this is an absolutely superb usage of audio. 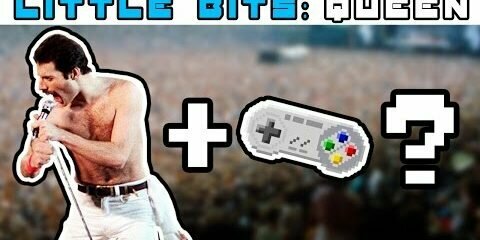 The 8-bit remixes are incredibly hard, and would be near impossible without the musical cues. Without the audio, this level becomes frustrating and doesn’t seem to make much sense. Which leads to my final point in why these levels are so incredible: the visuals influence the audio, as well. Many times I’ve talked about how the audio influences visuals and gameplay, and that the audio is driving the core experience. These levels show that is can also be the other way around, and that a perfect marriage of the two (visuals/audio) can lead to amazing things. The 8-bit remixes (both visually and musically) of every level define this point. The levels begin playing with the visuals in manners that are creative and intelligent. “Mariachi Madness” begins simply enough, but as the level progresses, the camera zooms out, making everything so small it is hard to determine what is happening. However, after playing the level before and honing skills with the help of the music, whatever the visuals throw at you only enhances your frustration (good frustration, mind you) and enjoyment, especially when you finish the level. Or, how about that odd “TV” look with fuzzy display? 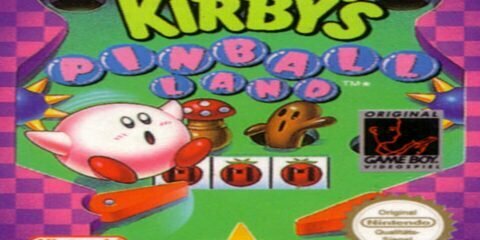 The culmination of how drastically the visuals affect the audio and gameplay, and require the player to utilize the audio cues, is found in the very last music level. The level is insanely difficult, and seems like at times would be almost impossible to complete. Without using audio cues to navigate the effects the visuals throw at the player, there would be no way to finish the level. In fact, there are sections where the TV completely “loses reception,” leaving the player to navigate a tricky obstacle-filled section with only the audio as a guide. This is easily one of the hardest platforming levels I’ve played in quite a long time. Thank goodness for the music! Another way the visuals enhance the audio experience lies within the art direction and design in the game. You have well-done juxtapositions like “Orchestral Chaos” (they chose that name for a reason, right?) which feature wonderfully written compositions while the background consists of growing vines with wicked thorns throughout. You have “Grannies World Tour” relying on heavy metal visuals (dragons, flames, wicked grannies playing mean guitar licks, etc.) filling up the level as much as the audio does. You have swordfish attacking at each “Do, Do, Do” sung in “Gloo Gloo.” Every level has a unique visual flare that alters the perception and affects the experience for the player. Normally, I review music in games from a different approach, discussing the audio/musical cues that play into the gameplay. With Rayman Legends, however, I was examining and admiring the two core elements as one blissfully delicious whole. Not many games acquire this level of music and gameplay co-dependence, especially in something as simple as a speed run. The music levels found in this game legitimately surprised me, and furthermore, impressed me. I highly recommend giving the game a play-through, and cannot express my enjoyment enough for these musical gems. I played Rayman Origins but passed on Legends because I thought it was just more of the same thing. But those musical levels are easily some of the most creative levels I’ve seen in a platform game recently! Do it. It’s a great game. Legends is so much better. Its a must play. Couldn’t have said this better! Get on it, Z!